1978 Ferrari 308 GTS Red with a White interior. 35,295 miles, This is a very rare factory special order car. This car is for sale and ready to be purchased. Click the image or title for more images. 1987 Maserati BiTurbo Spyder 55,000 miles Red with a Tan interior. Extremely well cared for example with a excellent service history. This car is for sale and ready to be purchased. Click the image or title for more images. Very Rare Tri Power, Manual Transmission Car This car is for sale and ready to be purchased. Click the image or title for more images. Corvette 1961 Maroon with Burgundy interior. Very Nice Example of an early Corvette, in excellent condition. BMW 1971 r50 Motorcycle Black with 38000 miles. Excellent example of classic BMW 500 cc air cooled, shaft drive,twin cylinder motorcycle. These bikes are nearly indestructible and with moderate care they will last just about forever. 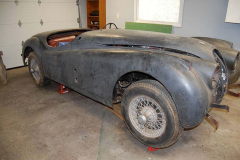 1956 Jaguar XK 140 Roadster grey project car. This car is for sale and ready to be purchased. Click the image or title for more images. Preowned Porsche automobiles bought and sold. 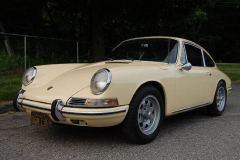 Features Porsche models such as the 912, 914, 924, 944 and many other. All the Porsche's featured are now sold and at home with their new owner. View the gallery to see the array of Porsche automobiles we've handled in the past. Click the image or title for more images. Preowned Ferrari automobiles bought and sold. 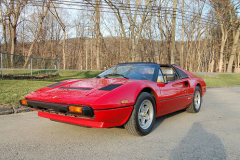 Features Ferrari models such as the 308 series, 365, 512BBi, 400i, Mondial, GT4, 365 GTC and more. All the Ferrari's featured are now sold and at home with their new owner. View the gallery to see the array of Ferrari automobiles we've handled in the past. Click the image or title for more images. Preowned Lamborghini automobiles bought and sold. 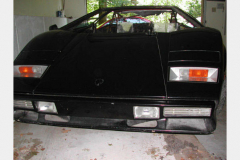 Features Lamborghini models such as the Jarama, Espada, Urraco and more. All the Lamborghini's featured are now sold and at home with their new owner. View the gallery to see the array of Lamborghini automobiles we've handled in the past. Click the image or title for more images. Preowned Maserati automobiles bought and sold. 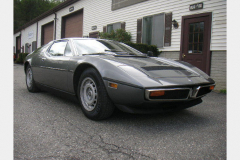 Features Maserati models such as the Bora, Khamsin, Merak, Mexcio, Ghibli, Mistral and more. All the Maserati's featured are now sold and at home with their new owner. View the gallery to see the array of Maserati automobiles we've handled in the past. Click the image or title for more images. Preowned exotic automobiles bought and sold. Features a array of exotic automobiles such as Mercedes Benz, Panther, Lotus, Rolls Royce, Triumph, Intermeccanica, Alfa Romeo and more. All the cars features are now sold and at home with their new owner. View the gallery to see the array of exotic automobiles we've handled in the past. Click the image or title for more images. 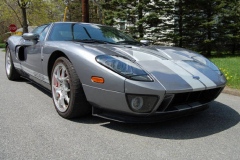 Preowned exotic and classic American automobiles bought and sold. 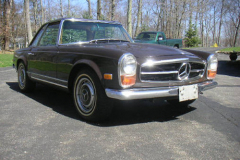 Features various makes of American classic and exotic automobiles. All the automobiles featured are now sold and at home with their new owner. 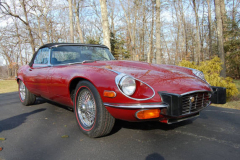 View the gallery to see the array of classic and exotic American automobiles we've handled in the past. Click the image or title for more images.